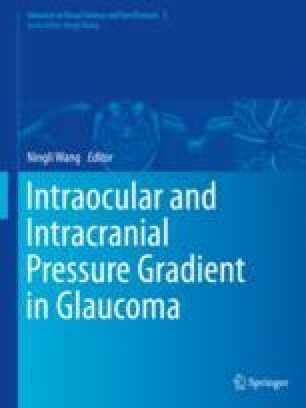 Glaucoma is a group of optic nerve lesions characterized by progressive loss of retinal ganglion cells (RGCs) and their axons and primarily manifested by progressive optic nerve damage, atrophy, and visual field defects, with increased intraocular pressure (IOP) being the main risk factor . Generally, glaucoma is classified into two types: primary angle-closure glaucoma (PACG) and primary open-angle glaucoma (POAG). PACG is mainly a result of optic nerve damage caused by blockage of aqueous humor outflow and elevated intraocular pressure due to mechanical angle closure, and its pathogenesis has been clearly known. Along with the economic development and lifestyle changes in the country, the disease profiles have changed greatly. Currently, primary open-angle glaucoma (POAG) has become the most common irreversible eye disease that results in blindness and disability, accounting for 74% of the patients with glaucoma, with its pathogenesis yet remaining unknown so far .